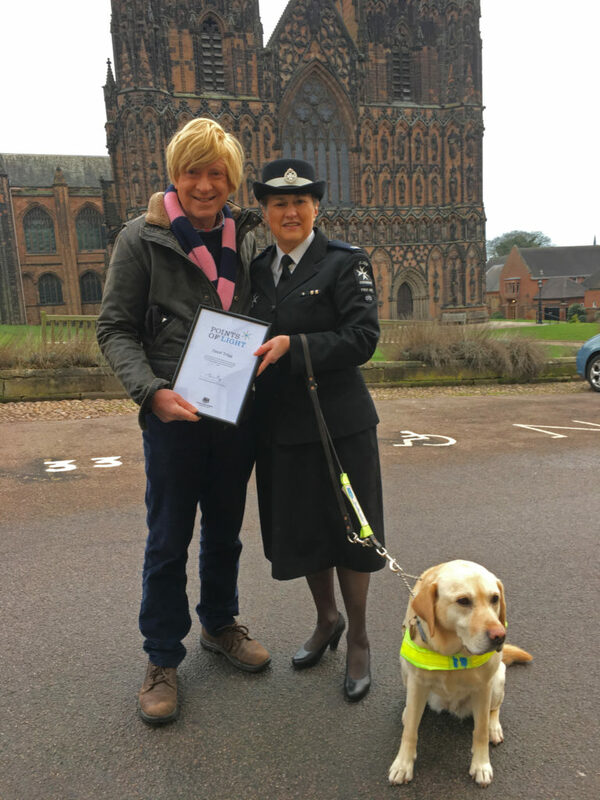 The Prime Minister has recognised Carol Trigg, from Burntwood, for supporting St John Ambulance and her certificate were presented by Michael Fabricant on 1st February. Michael, her MP, says “Carol has been a member of St John Ambulance for nearly 50 years, delivering first aid in the community and running large teams of volunteers. “After a deterioration in her vision in 2012, she moved from her role as a unit manager to become a training specialist. She now oversees the volunteer units in South Staffordshire and helps maintain standards and training for all volunteers. Since losing her sight, Carol set up a self-help group in her local area for other visually impaired people and their carers. The meetings are held monthly in a local church, and the programme includes speakers, information sharing and varied activities. Carol is the latest recipient of the Points of Light award, which recognises outstanding volunteers who are making a change in their community and inspiring others. Each day, someone, somewhere in the country is selected to receive the award to celebrate their remarkable achievements. Michael adds: “Carol is the 1100th winner of the Points of Light award, which has been developed in partnership with the hugely successful Points of Light programme in the USA. Regardless of whether it’s a doctor restoring local monuments in her free time, a father teaching young people life skills, or a local musician giving a voice to lonely people, the Points of Light award honours shining examples of volunteering across the UK.